South Africa is renowned for our beautiful climate, picture perfect beaches and bucket-list bushveld adventures. An active outdoor lifestyle together with one of the highest monitored global ultraviolet levels sets the stage for our South African population to have one of the highest skin cancer rates world-wide. According to the 2013 National Cancer Registry, almost 24 000 cases of skin cancer were diagnosed and this is most certainly a conservative figure due to lack of records. The estimated total annual cost of treating skin cancers in South Africa in 2015 was an astounding 92.4 million Rand! Non-melanoma skin cancers make up 20% of all cancers and 90% of skin cancers. 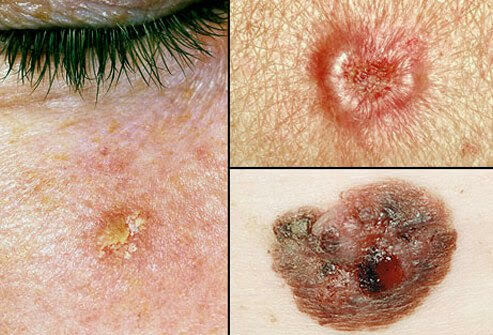 The most common non-melanoma skin cancers are basal cell carcinomas and squamous cell carcinomas. Malignant melanoma, the deadliest form of skin cancer, accounts for roughly only 5% of all skin cancer cases but are responsible for the majority of deaths caused by skin cancer. The dermatology team at Atlantic Dermatology and Laser are committed to providing unparalleled care in the screening and treatment of skin malignancies. We discourage the isolated examination of an individual lesion and offer meticulous full body screening so that you leave our practice confident that no lesion has gone unnoticed.